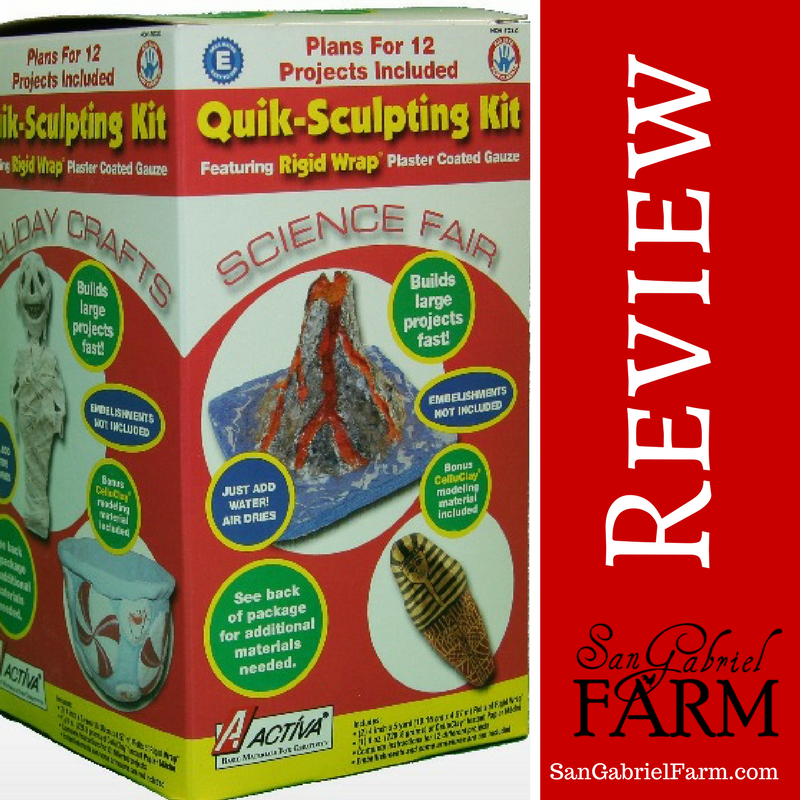 We had a BLAST playing with Rigid Wrap and CelluClay Quik-Sculpting Kit from ACTÍVA Products. 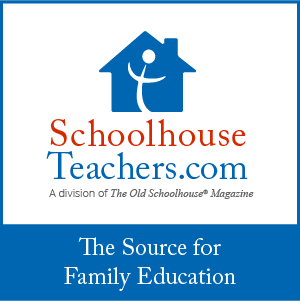 If you’re looking for homeschool art or crafts, AND you want an easier way to sculpt or create a paper mache project, then you’re going to love this homeschool art review! 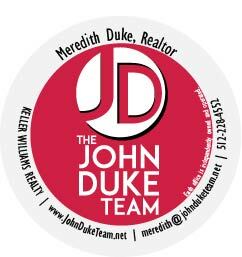 There may be additional items you’ll need to purchase to complete some of the projects. You can also download the free e-book, ACTÍVA Products’ Favorite Sculpture KIDS CRAFTS for additional craft ideas. We used this e-book for our two craft projects. The pictures and directions in this e-book are much better and brighter than the black and white sheets included in the box. Rigid Wrap is this really cool plaster cloth. 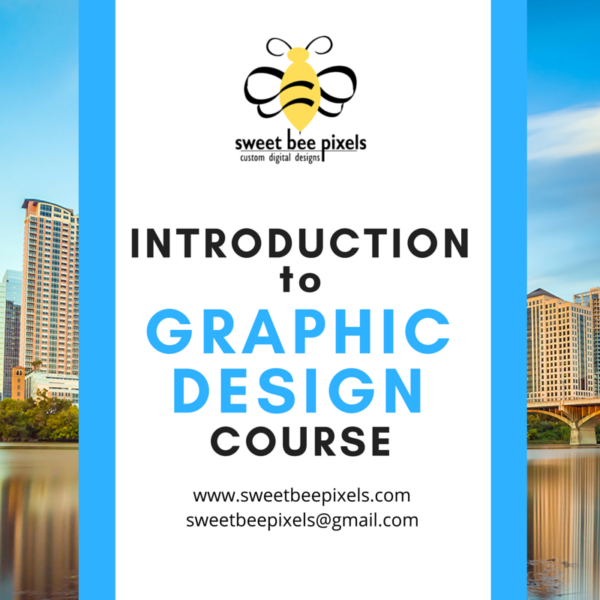 It’s very thin and easy to work with. It comes in a roll that you can unwind and cut to any desired length. For my project, I simply cut across the 4″ width and made sections that were 2″x4″. My daughter cut longer strips and cut the width into thirds (she made beads). My daughter and I each tried a project in the project booklet we received in the box. She created beads by cutting long, thin strips from the Rigid Wrap and wrapped the Rigid Wrap around a small paint brush. It’s a relatively easy process. For example, you dip the strips in warm water, let the excess water drip off, and wrap the strip around a paintbrush. Once the beads dry then you can paint them. I created a bowl. Again, this was a relatively easy and fun process. I picked out a bowl from the cupboard, wrapped the the outside of it in plastic wrap (see #1 below), and wrapped the bowl in wider strips (about 3-4 layers) (see #2 below). 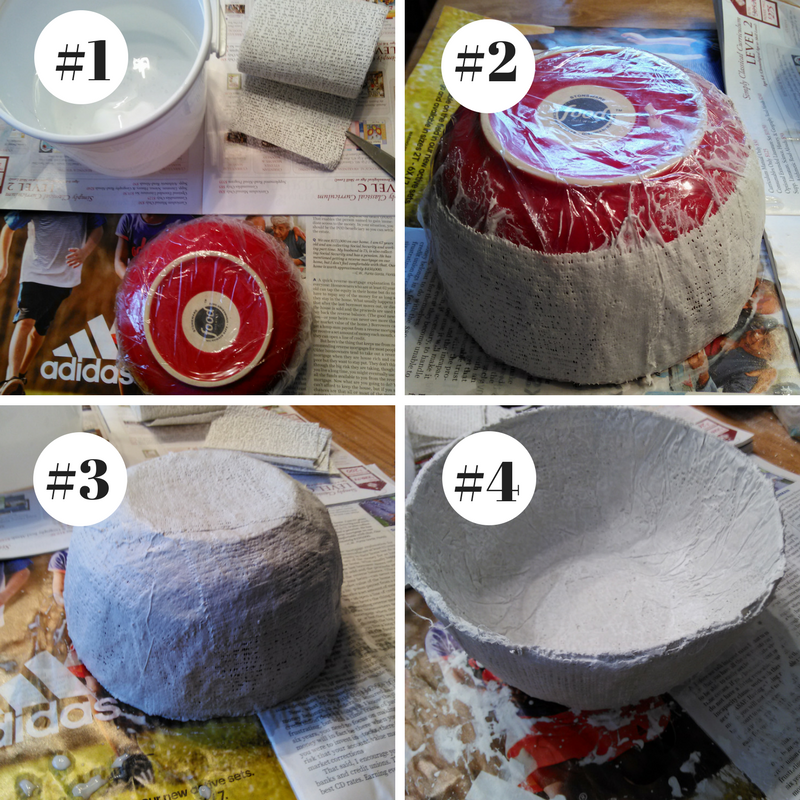 Once the bowl was dry (see #3), I was able to remove the bowl and plastic wrap from the bowl I created (see #4). I then took the same size strips (2″x4″), dipped them in warm water, folded them in half lengthwise and wrapped the edge of the bowl so that it had a more finished appearance (see photo below) This is the final bowl with the wrapped lip/edge. I let it dry overnight before starting the CelluClay. When I moved on to the CelluClay I debated on how to decorate my bowl. After really thinking about it, I decided that I would cover the whole bowl in CelluClay to give it a more rustic appearance. I didn’t really like the weave texture on the bowl and wanted something a bit different. So, I mixed up the CelluClay. When I opened the package I was expecting it to be powdery. 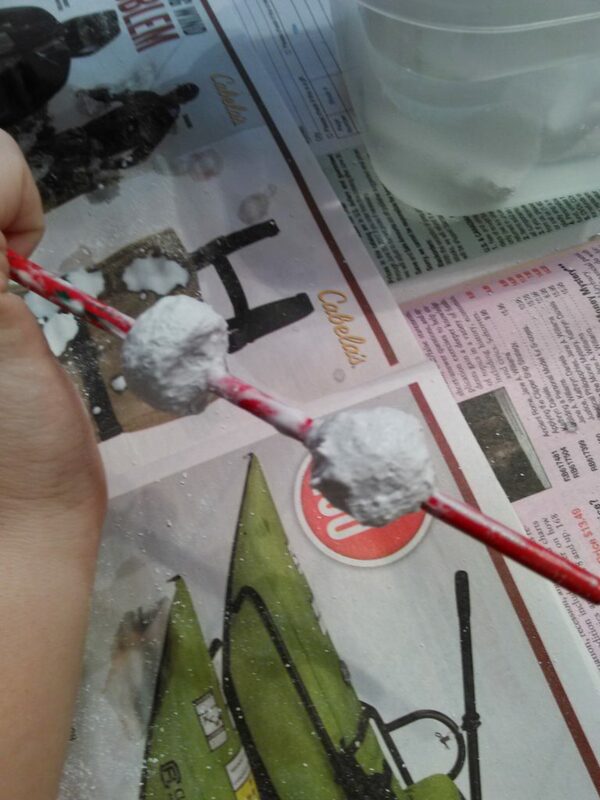 However, I found that it had some powder but lots of paper pulp as well. I didn’t find any directions in the box I received, so I did a google search to find out to create the clay. It’s actually a very simple process. I didn’t need a lot, so I only mixed up a small batch of clay by adding some of the dry CelluClay in a ziplock bag and then adding water (starting out with a little and then adding more until I had the consistency of clay). Remove the excess air out of the bag, zip it up and knead the bag. A clay is produced by doing this. I also found that CelluClay, once mixed, can be stored in the fridge for a long time and it won’t go bad. You can also leave it at room temperature, covered (so it doesn’t go dry), and it will last for some time, too. I learned quickly that you can’t just smear the clay on the project, you need to push it in, move it around, and then smooth it with your finger so that it creates just the right texture on the bowl. 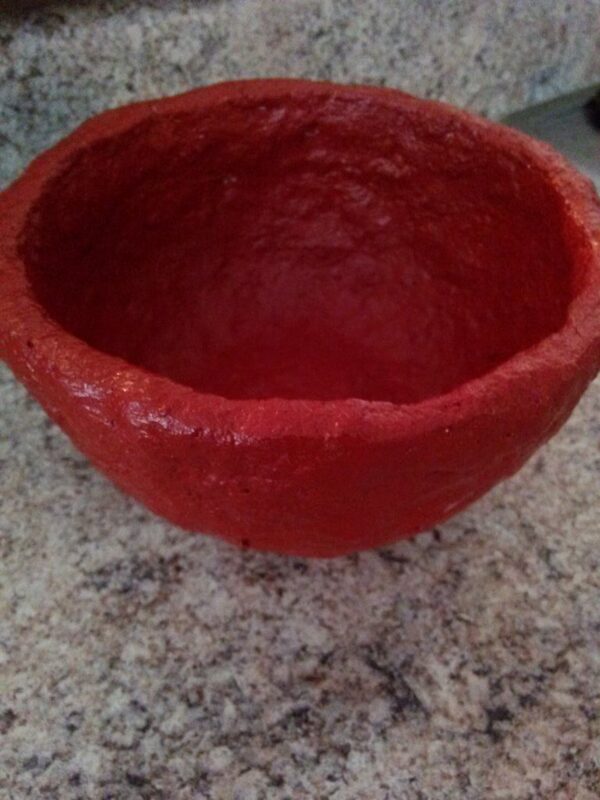 It took me about an hour to do the outside of the bowl and another 45 minutes to do the inside and rim of the bowl. I waited several hours between the inside and outside portions so that the outside portion could dry first. I do like the way it turned out, though. It’s very rustic! 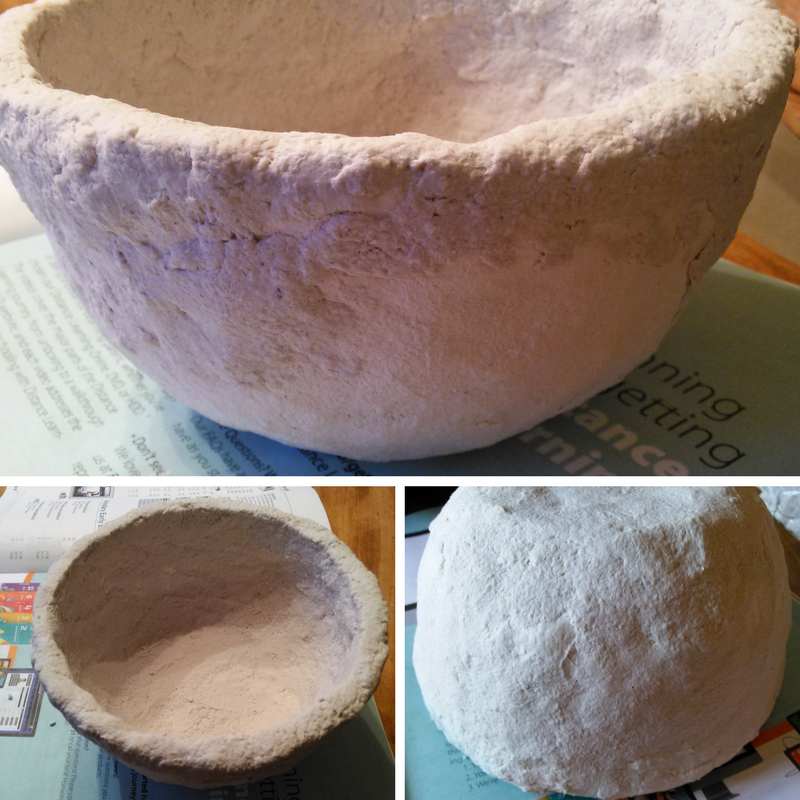 I even added extra CelluClay coming down the exterior sides of the bowl to give it a little extra texture. 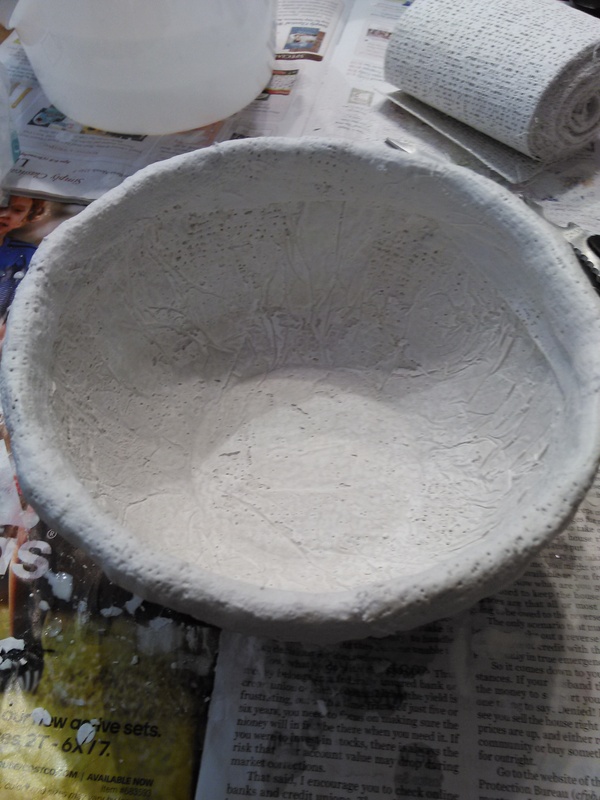 I then painted the bowl and voila…my bowl is finished! We noticed a few things with this product. The drying time varies based on the thickness of the project. Smaller projects will dry quicker than others. My bowl took a bit longer to dry than some of Lauren’s beads simply because of the thickness of the bowl. I’d say that my bowl project took about 4-5 days to complete simply because it needed to dry completely between some of the steps. Clean up is easy. 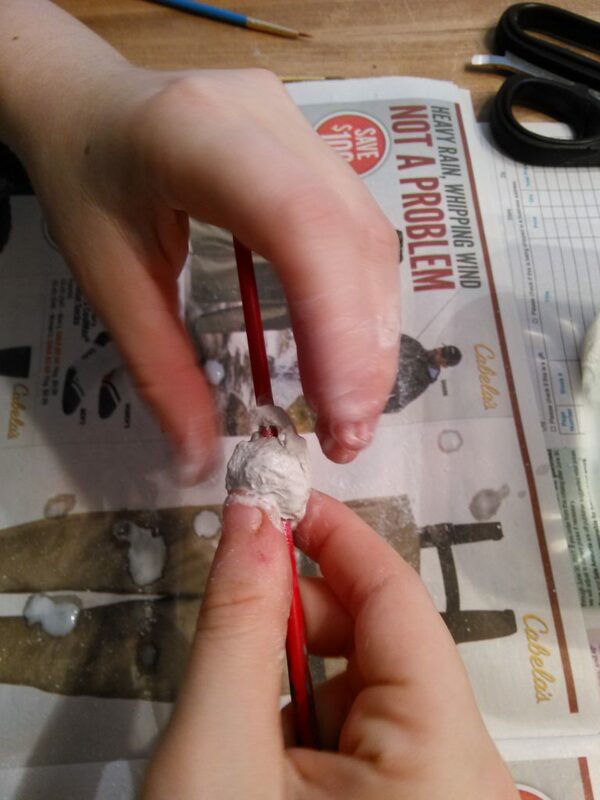 We used old magazines to protect our table, but there was still a small mess that consisted of dried plaster. We simply cleaned it up with a wet paper towel. Quick and easy. It’s best to let most of the water drip off the plaster wrap before using it. The projects turn out a bit messy if you use it with excess water on the strips. If you paint your project, make sure that the plaster is completely dry otherwise it absorbs the paint. 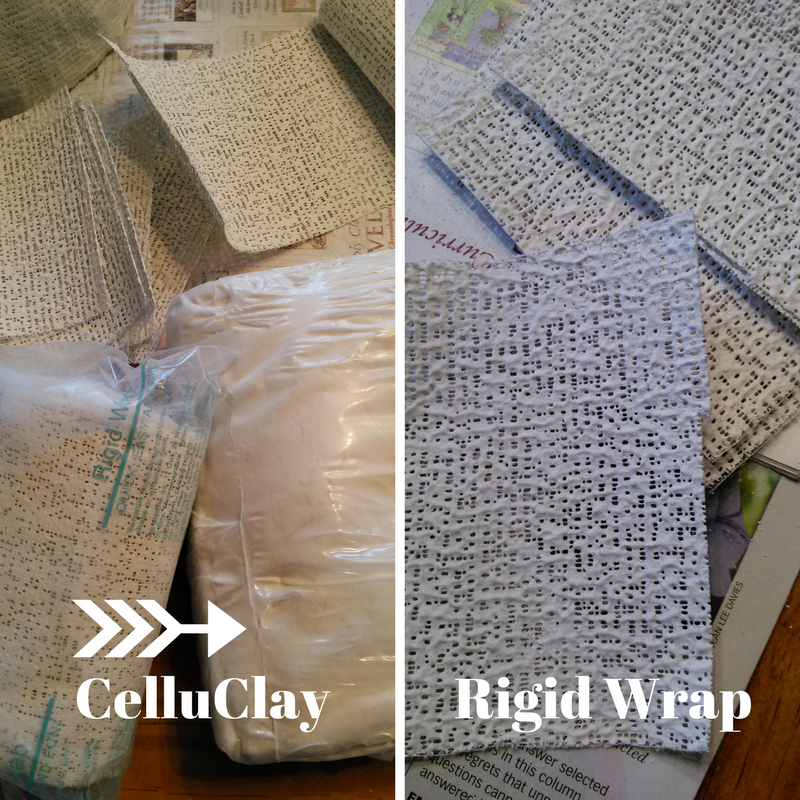 The CelluClay and Rigid Wrap are both very cold when wet. You can tell your project is dry because it is no longer cold. Work in small portions with the CelluClay so that it adheres to your other project and so that you can get the right texture. 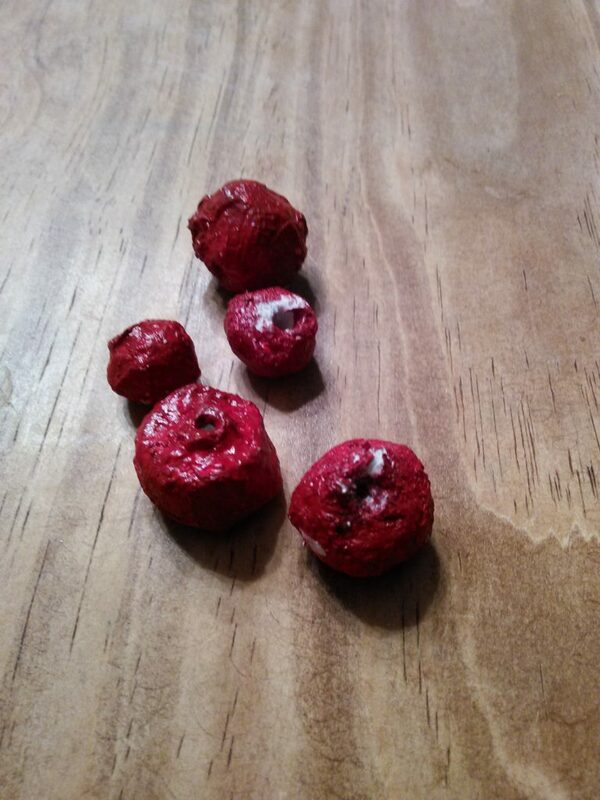 Store any unused CelluClay in a ziploc bag in the refrigerator and use it later when you have more time. Connect with ACTIVA Products on social media!